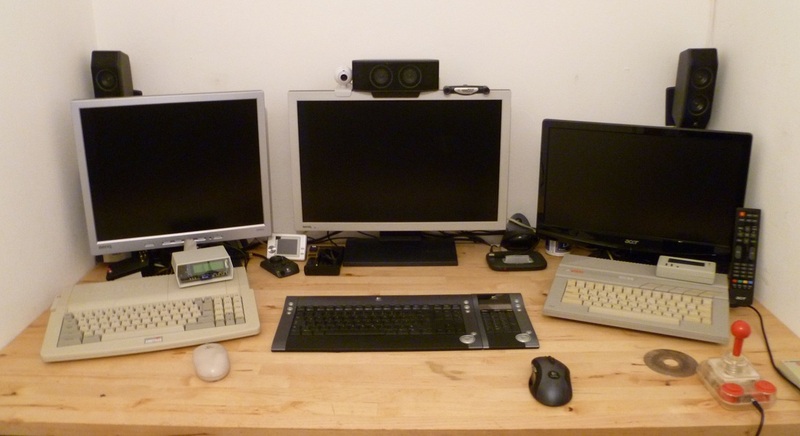 Bryce is an active Amstrad CPC user, that can be reached through the CPCWiki's forum. Lately, he has released the MegaFlash, which is an amazing extension for the CPC allowing up to 32 ROMs at the same time. I was very curious to know more about him, so I asked him for an interview and he kindly accepted to answer it ! Hi, I'm 42 years old and come from Ireland, but live in Germany. I studied Physics but have worked in electronics for most of my career. Back in my university days I repaired TVs and videos in a small TV shop. We got 8-bits to fix on occasions too. I also did freelance design for several companies that made CPC and Spectrum hardware, which is where my 8-bit design really started. I now work in the Automotive industry. I designed automotive electronics for several years, but unfortunately I don't get to do a lot of hands on electronics design any more, I spend most of my time pushing paper these days. So I compensate this with my hobby electronics. I married two years ago, and our first child arrived 8 weeks ago. It's a huge change to my life and for now takes up all the time I would have normally spent doing my hobby electronics. 2/ When did you meet the Amstrad CPC for the first time ? What did you attract with the machine: the software-side (games..) or the hardware? My father made this decision for me. There was an offer at his workplace to buy an 8-bit at reduced prices. He choose the CPC because of the monitor being included which meant I wouldn't block our only TV when I wanted to use it. A wise decision, because I rarely left the CPC from the day it arrived. Even at an early age, I was always fascinated by electronics, so the software only kept me occupied for the first few days, then I took it apart to find out how it works. Later I got an Atari 800XL, which from a hardware point of view, was more interesting to develop for. Although most Wiki members will only be aware of my CPC stuff, I have actually developed more hardware for the XL/XE, C64 and Spectrum than for the CPC. But most of what I'm doing now is for the CPC, so this will change with time. 3/ You are famous for your MegaFlash, a very well polished piece of hardware. How many ones did you sell ? In the end, was it a fun project to you ? Although it's a hobby project, I use the same commercial standards we would use at work, which is why it might be considered a polished product. It was also important for me that it could take the abuse of typical 8-bit user, ie: survive being stored in a box full of old PCBs, being plugged and unplugged regularly and all the other stuff that might happen. I think the user would expect this too. If you spend good money on a device, you don't want it breaking a week later. The project wasn't really planned. 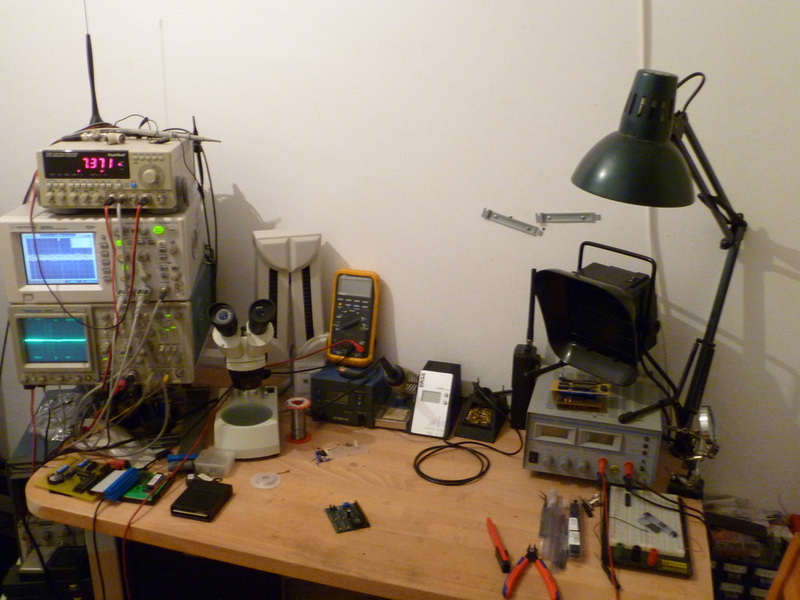 It started, because my ROMBoard (self-made Practical electronics version) was taking up too much space on my desk. So I designed the MegaROM. After that I was asked whether a (from CPC) writeable version would be possible, so I made the MegaFlash. It was fun to design and build, but a lot of work. I think I've sold 46 of them in total. My plan was never to build and sell them, I just intended releasing the plans for others to build, but I got so many requests and the PCB was a bit too complicated for a hobbiest to create, that I decided to build a batch. 4/ Still about MegaFlash, you "partnered" with TFM to create a dedicated manager ("The ROM Manager"). Weren't you able to provide your own software ? I do program in C and assembly language, but mostly for PIC and AVR micro-processors. I learnt assembly at university too (6800), but I was never great at Z80. I could have taken on the task myself, but it would have been a steep learning curve for me and the project probably still wouldn't be finished today. TFM is very fit in Z80 assembly and had already written very similar applications, so he was obviously the best person for the job. He was able to program things in minutes, that I would need days or even weeks to get right. 5/ You also have an other project, "Man In the Middle", for the CPC+. Can you tell us more about this project ? (why this name, goal, status, availability..). The Man-In-The-Middle is a very simple idea: Use the ACID in an original cartridge without removing it. 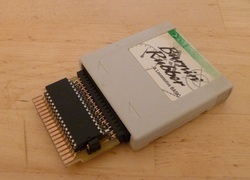 The MITM PCB has an EPROM socket to install your own software on, the original cartridge is plugged on to the back and the original EPROM is disabled. As ACIDs are almost impossible to find, this was a simple method to allow the development and distribution of new cartridge software without the need for a supply of ACID ICs. Anyone who owns a Plus will own at least one original cartridge. The project (like all of my released projects) is fully documented on the Wiki, so anyone can build one themselves. Unfortunately the connector is rather difficult to source, so I only ever built one. The origin of the name is quite obvious: It sits in the middle, between the Cartridge and the CPC and "steals" the ACID signals. I also have a few other projects released, such as the S-Video Modulator and the AMX Mouse adaptor. The AMX adaptor allows you to connect a PS/2 or USB mouse to your CPC and it will work like the AMX mouse did. The fact that it's 110% AMX compatible, means that no drivers are required, and lots of compatible software already exists. I say 110% because it also allows you to use the scroll-wheel if the mouse has one. Something the AMX mouse didn't have. I know that several people have built one, but I'm not sure how many actually exist. 6/ Do you have other unreleased projects targetting the CPC ? What are your future plans ? As I mentioned earlier, since the arrival of "Bryce 2.0", my free time is extremely limited, but I still try to get some stuff done. I have a list of about 20 future projects that I could work on. I have my own order of priority, but this can also be influenced by the amount of interest shown by Wiki members, so I often mention ideas in the Forum just to see how many people are actually interested. At the moment I am looking at a low-cost RAM expansion, because I'd like one myself. It's also something that should interest most CPC users. Other ideas on my list are a wireless controller / Joystick, a speech synthesiser, a USB connection to PC, a battery-less RTC, a SID Soundcard and a hardware diagnositcs card. Some of these projects are ready for prototyping, others are still just a scribble on a piece of paper. I plan to build many of them and anything that is built will be released on the Wiki. Another longtime project of mine is a replacement for the ACID, I'd really like to get this done some day. The ultimate CPC for me is a standard 6128 with some extra RAM, a MegaFlash and a HxC attached. With this configuration you can do almost anything. However I mainly use my 6128+ just because it takes up less space on the desk. I own a 464 (my original), 2x 6128 and a 6128+, this way I can test my hardware on almost all possible configurations. 8/ Do you like the current state of the Amstrad CPC community ? What amazed you lately ? The CPC community seems to be actually growing at the moment. It has got a new lease of life. I decided to return to CPC hardware because of the lack of hardware people in the CPC scene. The known hardware people of the past such as Dr. Zed and WSX (Inicron) had left and weren't replaced, so there was nothing new being done. Since then, several new hardware faces have appeared and the scene is picking up and attracting people back to their CPCs. From a hardware perspective, I was quite impressed by Jeffs HxC. So much so, that I bought one. It's really professionally designed and built, something he can be proud of (I would be). On the software side, the Batman Demo impressed me. It was actually the first demo I had ever watched. After that I watched several other demos to see if they were all that good. There are a few other good ones out there, but nothing that comes close to Batman. 9/ It's already the end of this interview. Any messages, opinions.. to bring to the community ? Yeah, stay true to your hobby, but don't over do it, otherwise you'll annoy your wife / girlfriend.